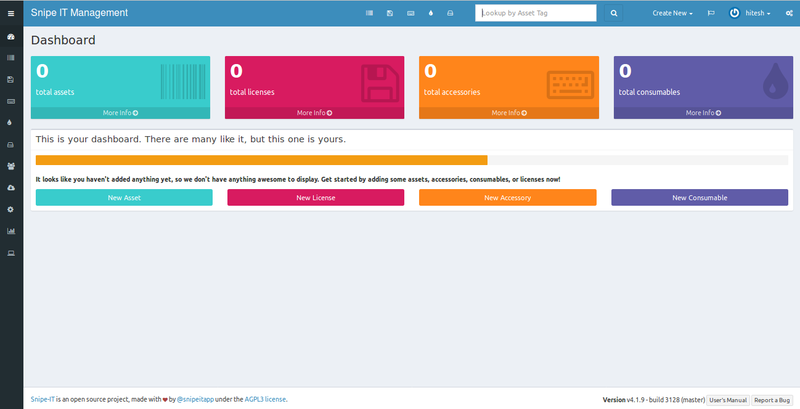 Snipe-IT is a free and open source IT assets management web application that can be used for tracking licenses, accessories, consumables, and components. It is written in PHP language and uses MySQL to store its data. It is a cross-platform application that works on all the major operating system like, Linux, Windows and Mac OS X. 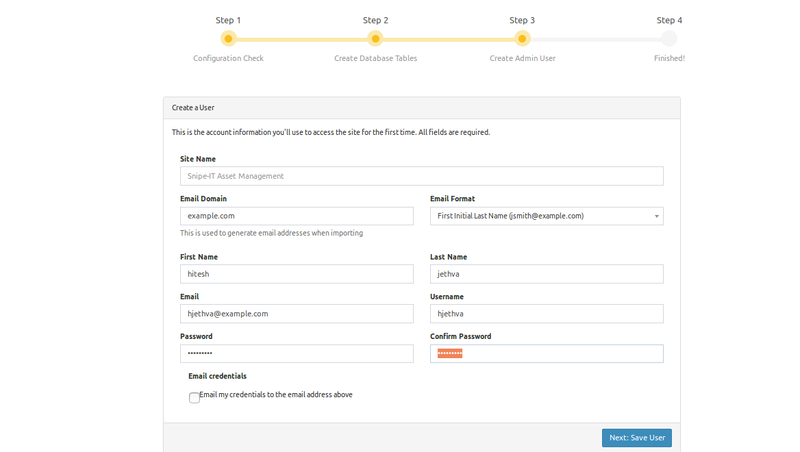 It easily integrates with Active Directory, LDAP and supports two-factor authentication with Google Authenticator. In this tutorial, we will learn how to install Snipe-IT on Debian 9 server. Snipe-IT runs on Apache web server, so you will need to install LAMP (Apache, MariaDB, PHP) to your system. Snipe-IT uses MariaDB to store its data. So you will need to install MariaDB to your system. By default, the latest version of the MariaDB is not available in the Debian 9 repository. So you will need to install MariaDB repository to your system. Dec 25 08:41:25 debian systemd: Started MariaDB database server. Application key [base64:uWh7O0/TOV10asWpzHc0DH1dOxJHprnZw2kSOnbBXww=] set successfully. Everything is now installed and configured, it's time to access Snipe-IT web interface. In the above tutorial, we have learned to install Snipe-IT on Debian 9 server. 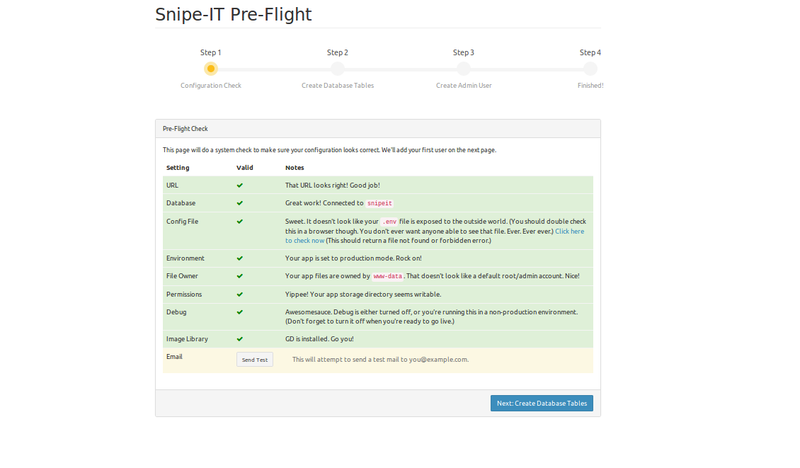 We have also learned to configure Snipe-IT through web interface.I hope you have now enough knowledge to deploy Snipe-IT in your production environment. For more information you can refer Snipe-IT Documentation Page. FYI Snipe-it doesn't work with MariaDB version >10.2.7 so go with stable version from Debian repository 10.1.x. Needs PHP version 5.5 or higher. Tried using this to install on CentOS, but it comes with 5.4. I am using ISPConfig, how do I go about fixing this error I have? Why do you run composer with root capable user? Snipe-IT explicitely tells you now to do that!